Doesn't that look like the yellow brick road? HA. That's Leonard Knight's folk art interpretation for you. 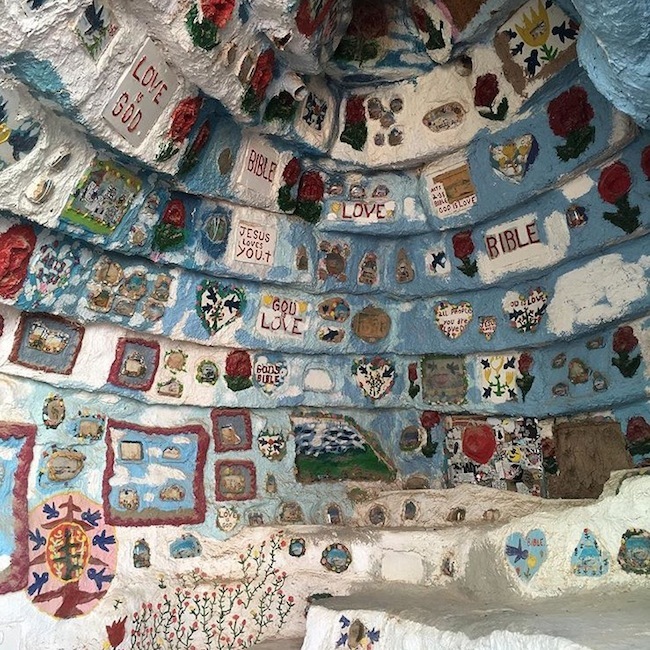 It's Salvation Mountain in Niland, California. 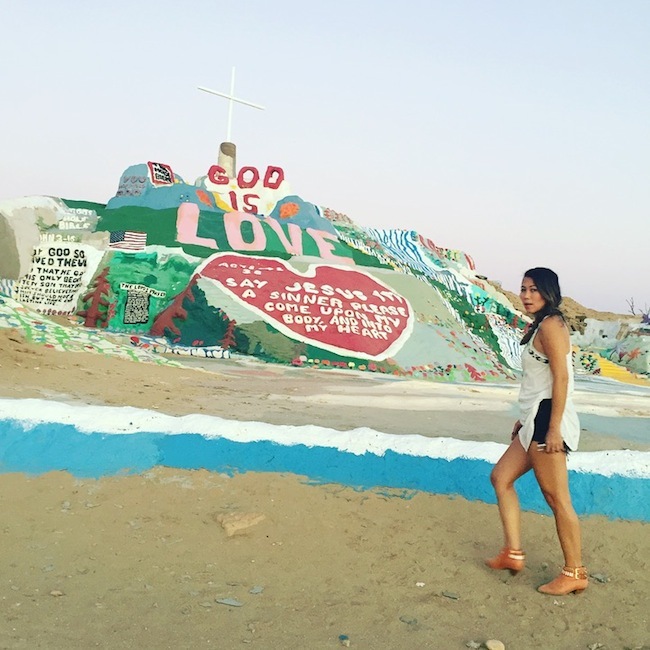 1.5 hours from Palm Springs and 3 hours driving from Los Angeles. 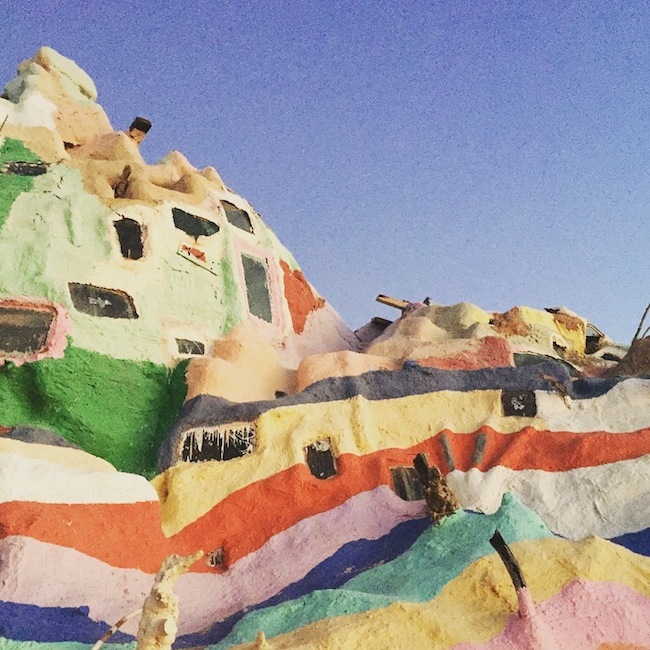 It's a visionary art sculpture you can spot a mile away in the empty desert. 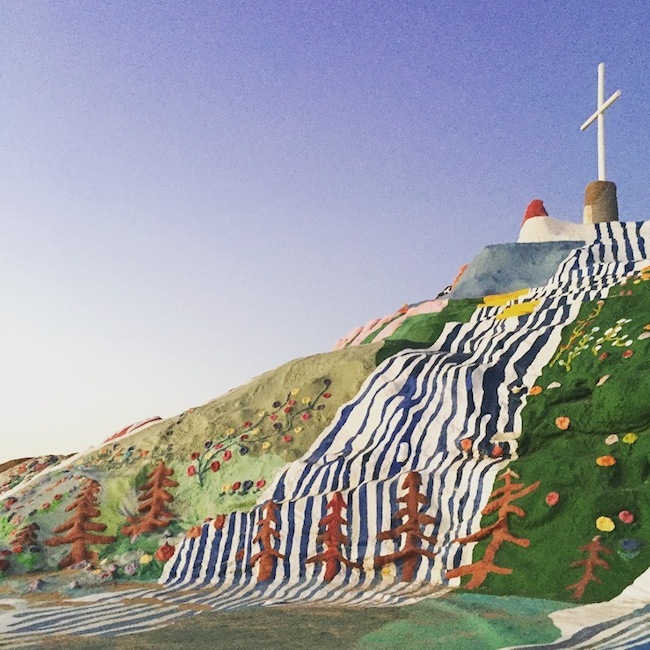 A mountain covered in Christian biblical verses, and rainbow painted murals. 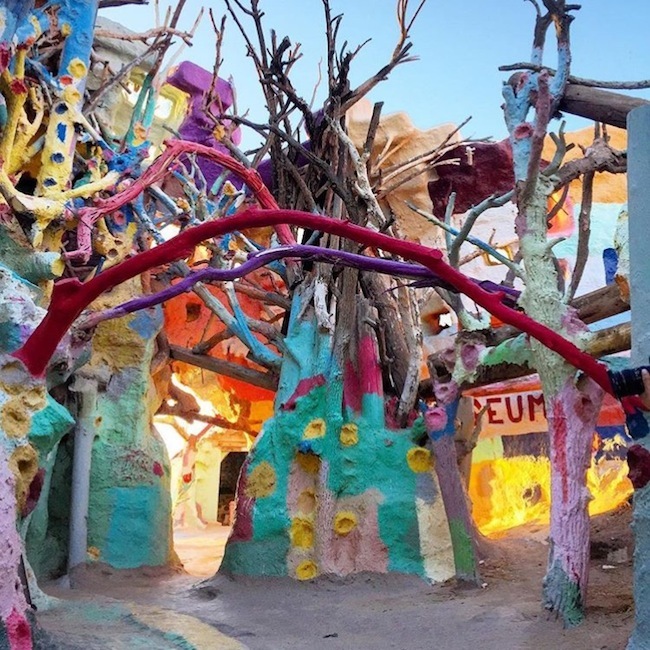 Created from adobe brick, tires, telephone poles, electrical wires and straw that forms a unique magical world of its own filled with trees, caves and more. It was the set for the movie Into The Wild and the video game Grand Theft Auto. Seen it? Neither have I. I'll have to remember that for a Netflix and chill night. However, it's a MUST see if your ever in the area. If you do go try and plan it on the first Saturday of the month, and then you can help paint! I would of loved to say I was part of the project in helping to preserve and maintain this amazing structure, but I missed the volunteer hours arriving two hours late. Bummer that I didn't know! But now you know! !